Active array of 2048(H) x 1536(V) pixels. 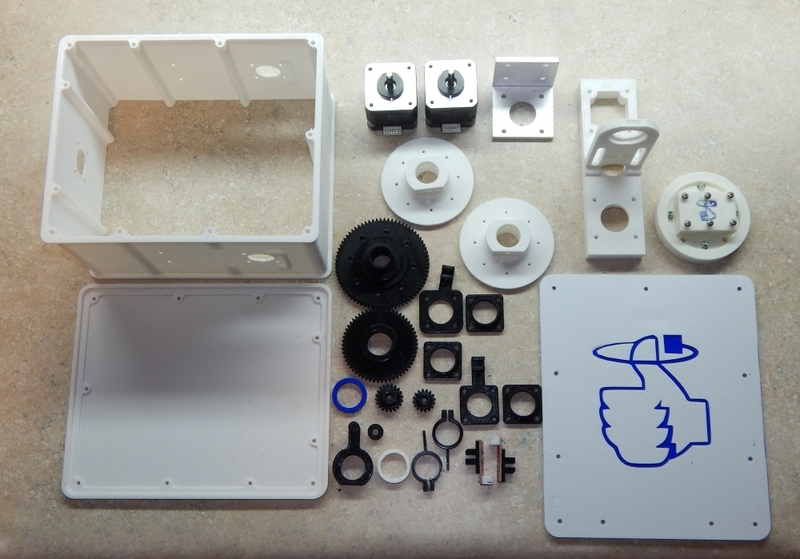 If you've ever dreamed of putting an experiment into space, ThumbSat is your one-stop-shop. We'll provide the launch, the basic satellite and all of the hard parts like the paperwork. All you have to provide is the experiment, and we can even help with that. We'll get your project into orbit with the minimum of fuss, within a few months, starting at around $20,000 - far quicker and cheaper than the alternatives. 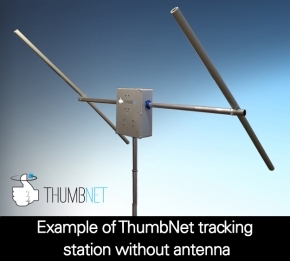 ThumbSat and ThumbNet are sister projects designed to promote science, technology, engineering, art and mathematics in students, university groups and citizen scientists, young and old, around the world. Please explore the site and learn how and why you can benefit from both projects. Here you will be able to select a mission, view its actual or planned orbit, and find out information related to that mission, such as nature of the mission, and links to mission data. Multiple small payloads to Earth orbit. A fantastic education and outreach project. How to collect data from fast-moving satellites that are only within range of a ground radio receiver for minutes? 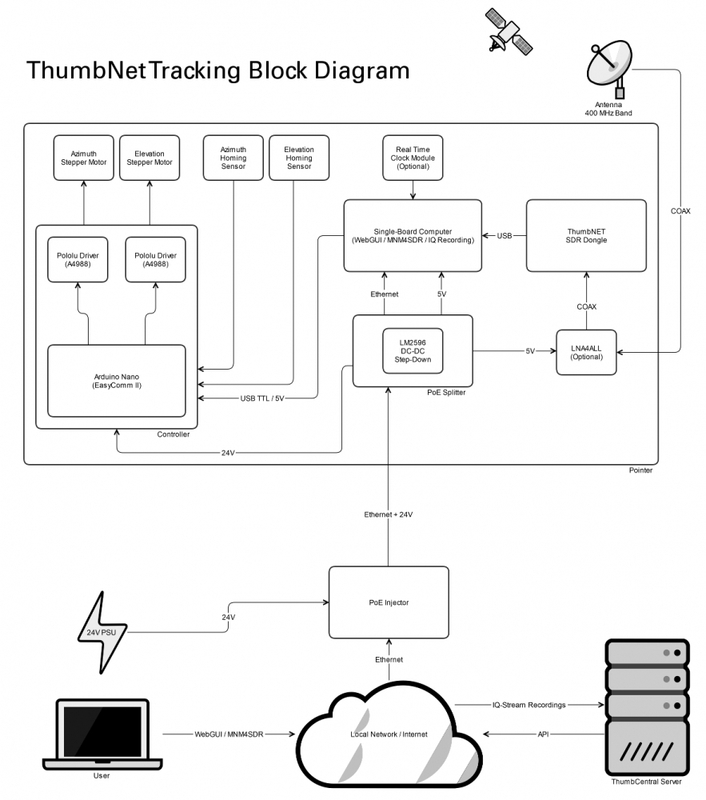 Create a global network of internet-linked "grounds stations" - ThumbNet! Every dot on the map above is a volunteer ThumbNet ground station. We're looking for more volunteers to fill those gaps on the map! Just add a simple antenna to the free radio receiver that we provide, run some software, and hear messages from space or elsewhere within half a day. The most active volunteers will receive even more - the free tracking station described below. All you need is enthusiasm, a small space to mount an antenna/tracker where it can see the sky, a power source and internet access. No special knowledge, equipment or experience is needed. The ThumbNet project has already begun changing the lives of students, educators and citizen scientists around the planet and is having a positive impact on the communities where it is active! ThumbNet is an educational project encouraging students and average citizens around the globe to experiment with space science and engineering, while building a global network of monitoring stations for satellites in orbit, and we'd love for you to participate! The concept is simple. Satellites in orbit are transmitting their data back to the ground, but due to their motion in orbit, a single station can only receive signals from a particular satellite for roughly 6 to 10 minutes. And that's just not enough time to get all of the mission data! But, by locating antennas around the world and linking them together through the power of the internet, we can create a global network to remain in constant communication with the satellite. And that's where you can help. Due to the nature of the system and the simplicity of the components, there are thousands of locations around the globe that would be a perfect place to set up one these experiments. For the first time ever, communities and high schools in tiny nations such as Christmas Island, or Sao Tome & Principe have the same opportunity to educate their students using services that previously were only available to large, well connected universities. We are looking for anyone (young or old, educated or uneducated, individuals or groups) who is interested in learning more about radio, space, science and engineering. All that is needed is a computer with an internet connection and a few square meters of space on the roof of a building to mount the tracking station. 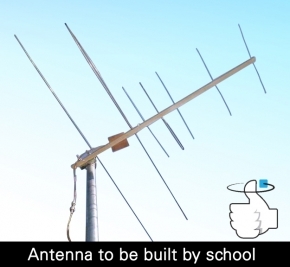 As the experimenter, you and your group will build a simple radio antenna (that looks like a TV aerial) that can be constructed in a morning with readily available materials. 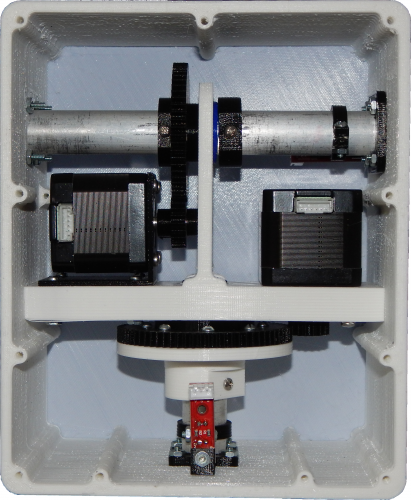 The antenna will be combined with an easy to assemble kit, that we provide, that will allow you to set up your own ground station for tracking satellites in space and downloading their signals while operating in manual or fully automatic mode. The tracker is capable of rotating 360 degrees or pointing 0 to 180 degrees in elevation. 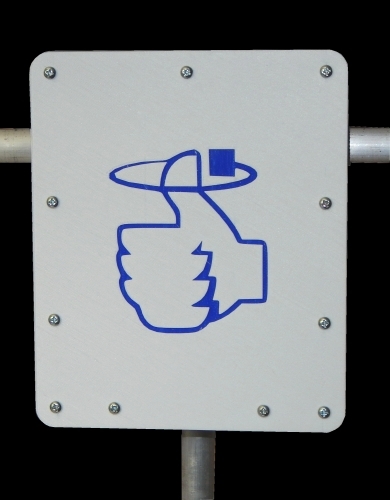 Perfect, for following any satellite that might be passing overhead. In Manual Mode, the student uses the station's computer to send signals to the antenna tracker, telling it which direction to point to. Then, he or she can manually adjust the position of the antenna to follow the satellite and using the software provided, download and listen to the signals being broadcast. In Manual Mode, the tracking station's computer sends data to the ThumbNet server, but the server does not send commands to the remote station. The default mode when powering up the station is Automatic Mode. 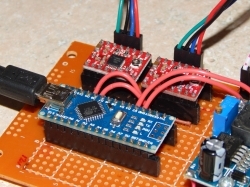 If the station is left idle in Manual Mode for 30 minutes or longer, the station will switch itself to Automatic Mode and begin accepting commands from the ThumbNet server. The internal workings and basic block diagram of the tracking station are shown in the images below. While it may LOOK complicated, we have spent a lot of time making sure that it is easy for anyone to assemble. Most of the design is simple "Plug and Play" components and only basic hand tools like a drill and screwdriver are required. Building the station is an excellent way to engage students immediately and provides them with a sense of ownership of the station and a better understanding of how and why it works. Of course, we provide all of the software and procedures needed to operate the station and communicate effectively with the rest of the network. Mechanical Install of the ThumbPointer Hardware. Non-Electronic Pieces Ready For Assembly. 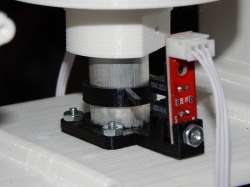 The 3D printable files for the base tracking station are now available in the Virtual Classroom.